Failing doesn’t sit well with me, it never really has, but sometimes it teaches you a good lesson. In my case, I learned that lesson after failing my first light rigid licence theory test. It was only by one point, but it was still a fail, made worse by the fact that my CEO, Adventures Group’s Rob Gallagher sat it the same day, and passed. You can imagine my afternoon. It was low, but it was a very good reminder of the seriousness of obtaining a licence. It’s not that I didn’t take it seriously, I just thought it would be a whole lot easier. Knowing exactly how many metres to place cones when stopped in a 12-tonne truck, and how far I can park a bus from an unmarked railway crossing didn’t seem relevant to obtain a licence to drive a motorhome. But, such is the nature of the licence, you have to understand the workings of a fatigue management diary, and what to do with hydraulic and auxiliary brakes in an emergency, so it was back to the books for the entire weekend. With the help of my 12-year-old son (who was determined nothing was going to stop us taking the Paradise Independence Deluxe motorhome up the east coast of Queensland for nine days), I studied the VicRoads truck and bus drivers’ handbook, and when I re-sat the theory exam, under the watchful eye of the great team at TDT Training, I passed it with flying colours (well, practically). Making me feel somewhat better, TDT Training told me that it is the most failed component of the licence, and many fail by up to 24 questions. In my case I had committed to driving the seven-tonne, 28-foot Paradise to the CMCA rally (with the family in tow), and, as Editor of The Wanderer motorhome magazine for CMCA members, I want to be able to intrinsically write about the experiences readers are having. For others, besides the legal requirement, it’s about having confidence when driving a big rig, or a bus full of school children. TDT Managing Director Dr Brett Roberts says the reason for getting a licence is also quite simply one of safety. And, if the stats are anything to go by, more people are realising the importance and value in having a heavy vehicle licence. 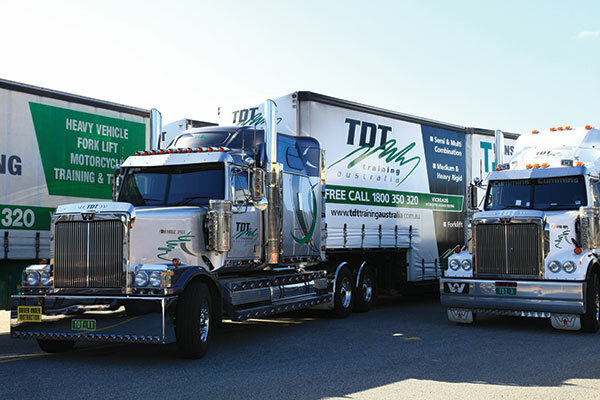 TDT Training says it has seen an increase in LR/MR licences in the last 12 months alone by about 10 percent, with about 800 licences delivered through its branches in 2017. Your first requirement is to sit the theory test. My advice is don’t just flick through the handbook and do a few online tests – study it thoroughly. Our trainer Mike Rinaldi, who has been training since 2004, says like me, most people fail the first time. 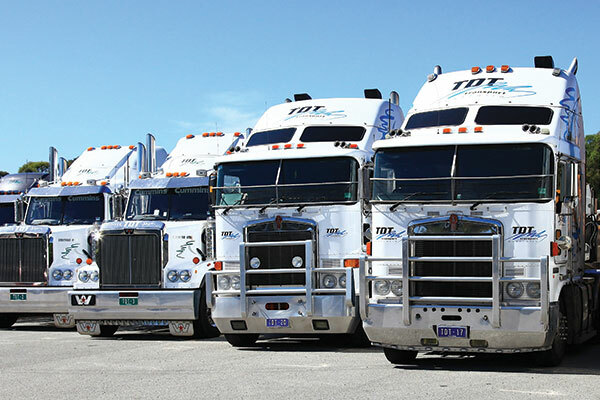 He says it’s because of the complexity of the questions, and how they specifically related to the truck sector, so if you are getting a licence to drive an RV, or a bus, and you aren’t immersed in industry, it becomes a little tougher. However, the process in sitting the theory is really quite easy. You turn up and the staff ask you to fill in a bit of paperwork and then you are escorted into a quiet room, and you are given one of a series of tests. You can get six questions wrong to pass. It’s best to do the theory at least two days before the practical because you can only re-sit it twice on one day, so if you fail twice, you need to go back another day. The practical is typically a full (or half) day of driving training, followed by a driving test. The trainers are personable, helpful, and they’ll even take you for a cuppa to calm the nerves! Regardless of how long you’ve been driving, in my case 25 years, don’t underestimate the process the trainers will put you through. You need to be vigilant at all times and, as Rob Gallagher says, anyone looking at driving a motorhome, or large caravan, should consider doing it, even as a refresher. 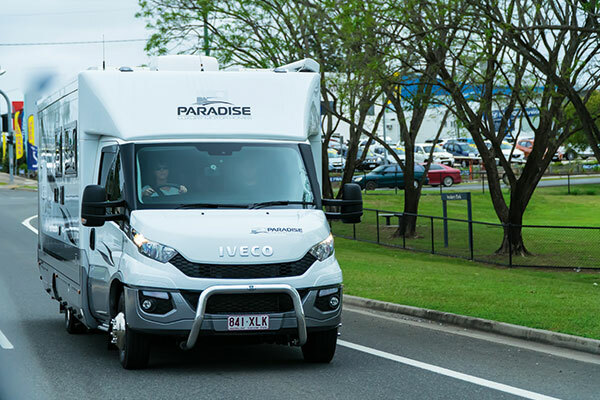 “When I recently picked up a motorhome in the Northern Territory with my family, I was far more comfortable driving it than I would have been had I not done the test. When it comes to compliance and safety, understanding the way to drive this size of vehicle, you’ll feel much safer having done it,” he says. He says it also leaves you with a greater awareness of the challenges of heavy vehicles as a normal driver. It’s something I too felt incredibly helpful when driving the Queensland coast to the CMCA rally in Bundaberg. You come out of the test considering truck signs, road signs and road markings, where as beforehand it’s easy to become complacent. 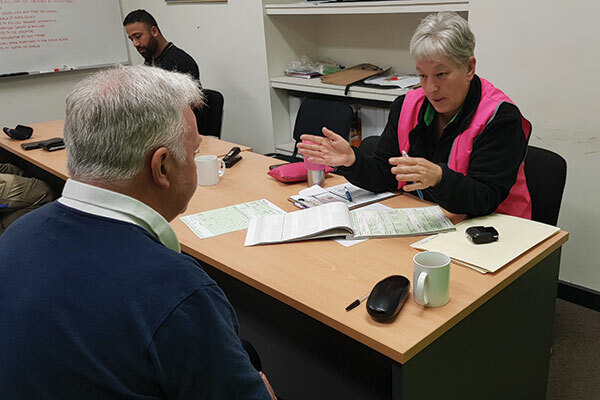 Gallagher says as a business focused on consumer safety in this category, “I’d like to see courses like this become more common practice – it can only be a positive step in helping keep drivers safe”. As to the future of training, Dr Roberts says while technology will increase, nothing beats driving experience. “When dealing with heavy vehicles, online training can never replace time behind the wheel. 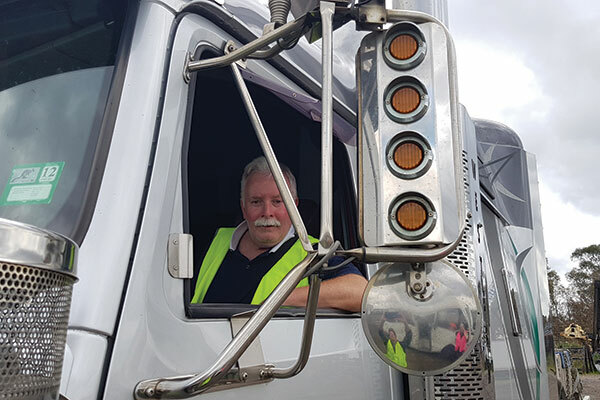 There may be a move to more online theory and knowledge training, but the only way to learn and experience a heavy vehicle is to spend time in the seat driving and preparing for all possible road situations,” he says. The full feature appeared in Caravan World #573. Subscribe today for the latest caravan reviews and news every month!